Being a gadget freak and accessory hound, I tend to collect a lot of small items for my iPhone. But we know that you love them too! There are so many out there though, and I’ve tried many of them and made mistakes at times. With that said, here’s a couple that you might want to look at. Let’s face it, if you don’t have power you can’t do anything besides holding down napkins at your picnic. To keep you going through the day you have a couple options. The first is a convenient case with the brand Mophie which makes them for the iPhone 4/4s and the iPhone 5. This guy is simple and always with you. It really is a no-brainer for those trips where you are going to rely on maps and gps a lot which will tank your battery. The second option would be the one that I currently use–a huge usb power pack. These guys are clunky and cumbersome compared to the slick case battery above. 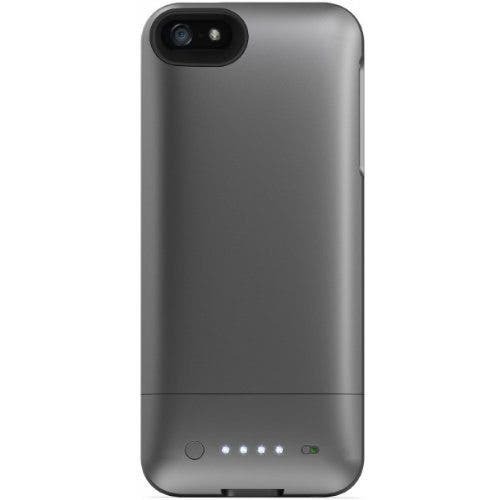 What this does a lot better than the battery cases is charging the phone and honestly…isn’t this all we really care about? I own this 12,000mAh dual USB charger and it’s been a lifesaver on several occasions. When a case can barely charge your phone one time this guy can charge my iPhone 5 several times. But wait, theres more! My particular power pack can charge an iPad and any other USB device at the same time. While it can’t fully charge a modern iPad it will get it enough of the way. If you want to get into the crazy world of USB battery packs check out this link. As a side note if you run out of power neither of these will do you any good. In the middle of nowhere you will only have the ability to charge your products by hand or by solar. Neither of these cost a whole lot and both would be worth their weight in gold if they’re ever actually needed. Lenses have become more and more popular, everyone has the same Instagram filters but not everyone has the same perspective. A new field of view will set you apart and all you need is a little lens. A lot of people flock to the Olloclip because it seems to be the most popular. It’s made for both the iPhone 4/4s and the iPhone 5 for just under $70. This works great for those who don’t mind the price and the reason why I’ve never bought one? I’m frugal. I’m not just frugal–I’m just downright cheap. Instead of shelling out the cash for the Olloclip I instead went to the Amazon and hunted around for cheap lenses. For just $10 you can get essentially the same lenses that you get with the more expensive option above but at 1/6th of the price. While the Olloclip slips onto the corner of the corner of the iPhone this cheaper kit has a magnetic ring that the lenses attach to. 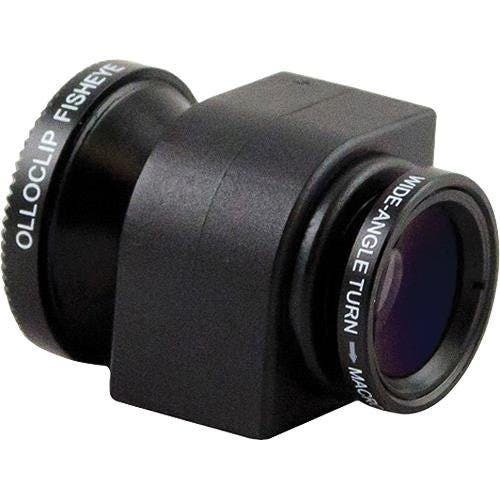 This can lead to lost or misplaced lenses but at about $5 a piece I’d rather replace these several times instead of plunking down about $70 for the Olloclip. Along with the wide, macro, and fisheye the 2x lens is also worth the purchase. If you feel tempted by the zoom lenses that offer more magnification than 2x, then take this as a warning: they are crappy. I owned one for my old iPhone 4s and the few times I used the lens it did the job but was really nothing special. These lenses are better when compared to a cropped image but only have a very small sweet spot in the center. For those who are interested in the cheap lenses but turned off by the idea of the the magnetic ring this is the case for you. 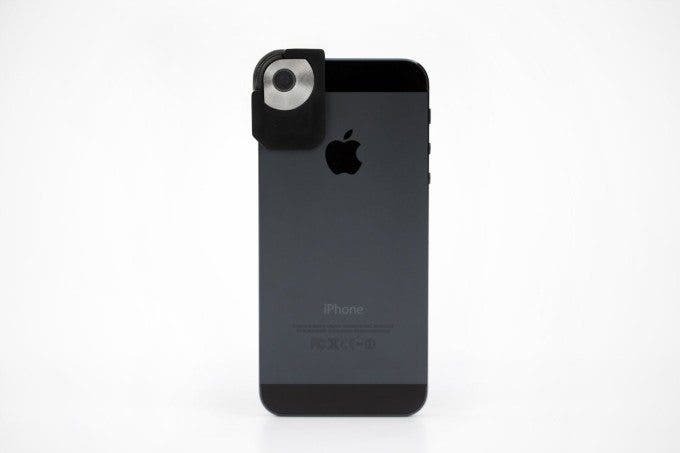 I’ve backed an iPhone case with a the magnetic ring built in so you can use the lenses with the case on. I’m sure we will have a write up on the case when it becomes available later this year. Another lens which I cannot speak for but should be mentioned is Trygger. A unit is on it’s way to me now and I’ll have a review for you lovely people shortly. Tripod mounts are tiny and if you’re a semi serious iPhoneographer you probably have one of these in your bag. 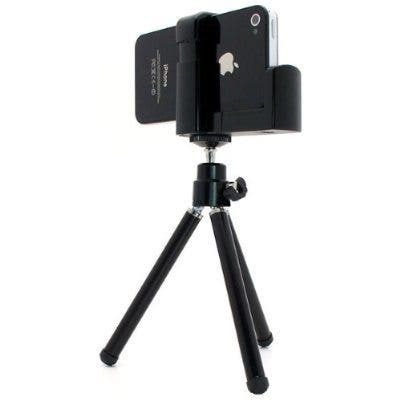 Again, starting with the best but pricey is the Glif tripod mount for the iPhone. The Glif is slick and sturdy and just gets the job done and is available for the 4/4s and the 5. Then on the super cheap side we have the generic smartphone tripod mount. These can be had as low as $4 and as long as you’re not sure rough with the gear that you have, it should last quite awhile… or the matter of minute depending on who you are. I bought a mount called Millimount and even though it costs just as much as the Glif it also has the ability to be suctioned to your car window for random creative purposes. The amount of accessories for the booming iPhone market is just ridiculous. A quick run through Photojojo’s store goes to show you that there is no limit to the possibilities with iPhone. Recently a company was successful with making a diffusion dome so that you can use your iPhone as an incident meter. 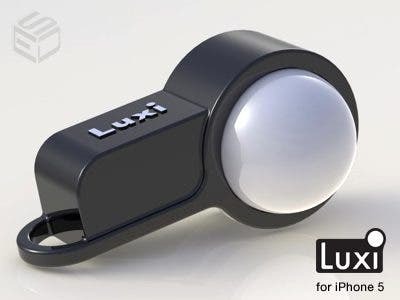 That product is called the Luxi and I’m eagerly awaiting mine so that I can put it through its paces. Speaking of Photojojo this Cameralapse device is one of the more unique ones for me. No batteries are required and can offer quite a creative outlet for the iPhoneographer. Another accessory that isn’t exactly a direct attachment for a phone but instead for your hands will keep you warm and connected. 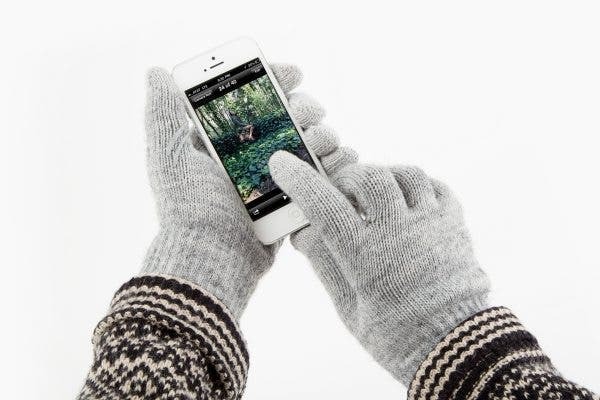 Owning a pair of touch gloves will save you in the cold and let you control your phone properly instead of pushing your poor thumbs into the cold. If you are partial to Photojojo they also sell a pair on their site. This may or may not have been more than 10 items but they are in my opinion the best must-have items for iPhone users. I hope you found something new here and if you have something worth sharing, leave it in the comments.